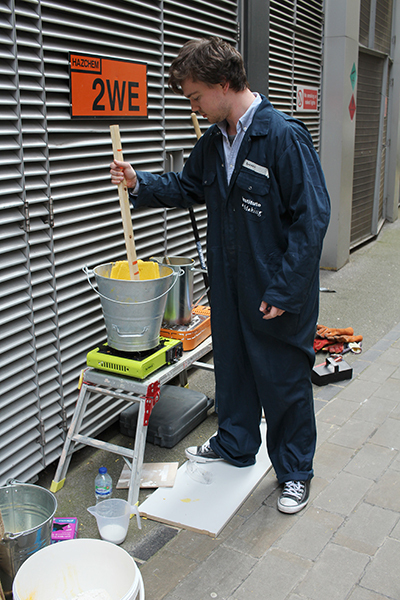 A few weeks ago, University College London held a light-themed street festival, with stalls run by the different university departments with demonstrations and free activities. 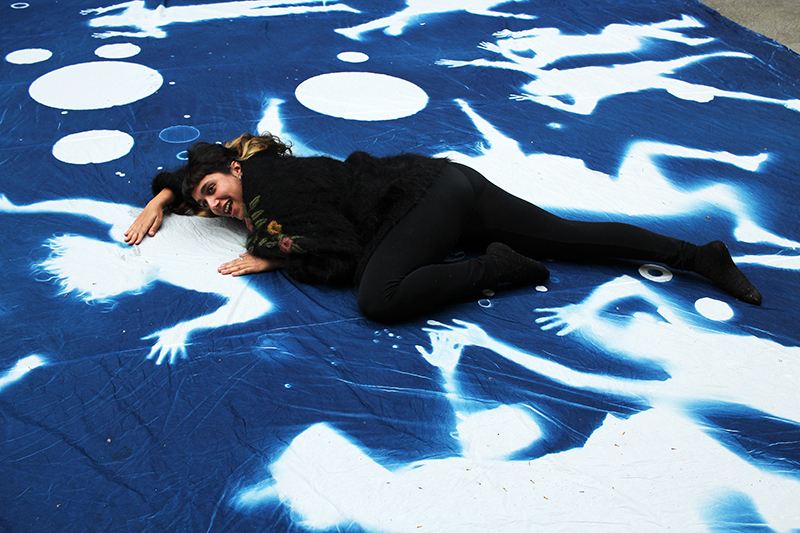 My friend Mel was there to win a Guinness World Record for the world’s largest cyanotype print (she’s already the holder of the record, which she did as part of an arts festival in India earlier this year, but she wanted to beat her previous record). 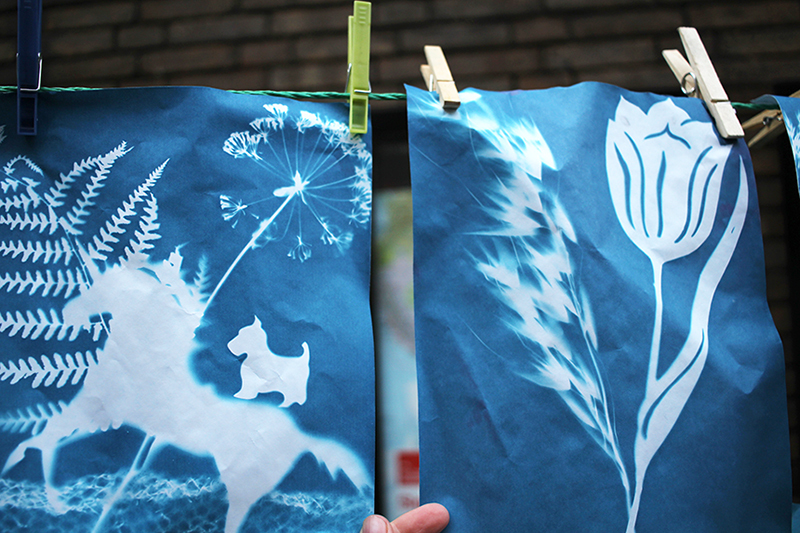 As you came in, there was a wall of small cyanotypes drying from the workshop going on. 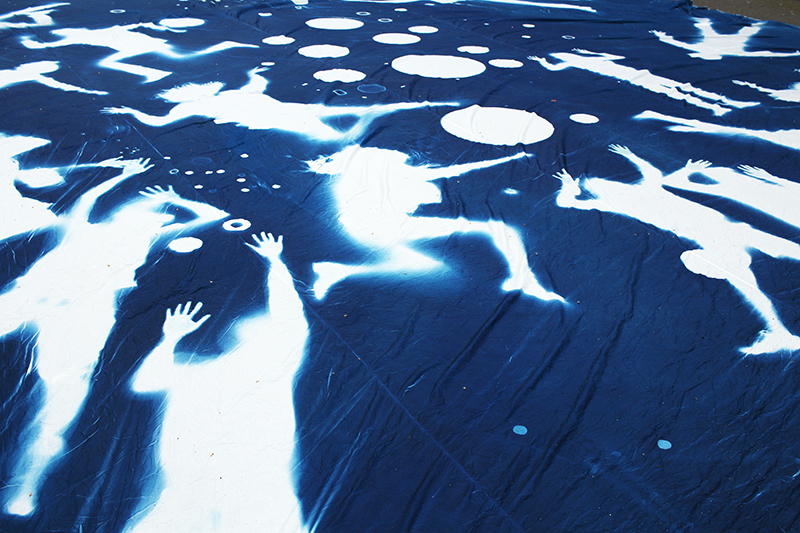 The world record beating cyanotype. I wasn’t there to see all the people lying on it to create the exposure though. I only got there just after the fabric was hosed down to neutralise the chemicals. A willing volunteer shows how it’s done. Mel and the team. 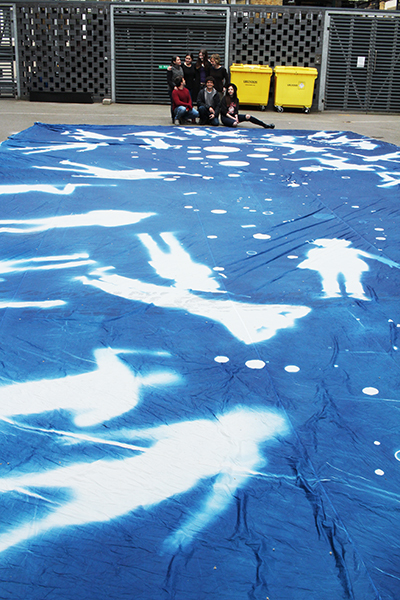 They were exhausted after spending all night coating the giant piece of fabric. 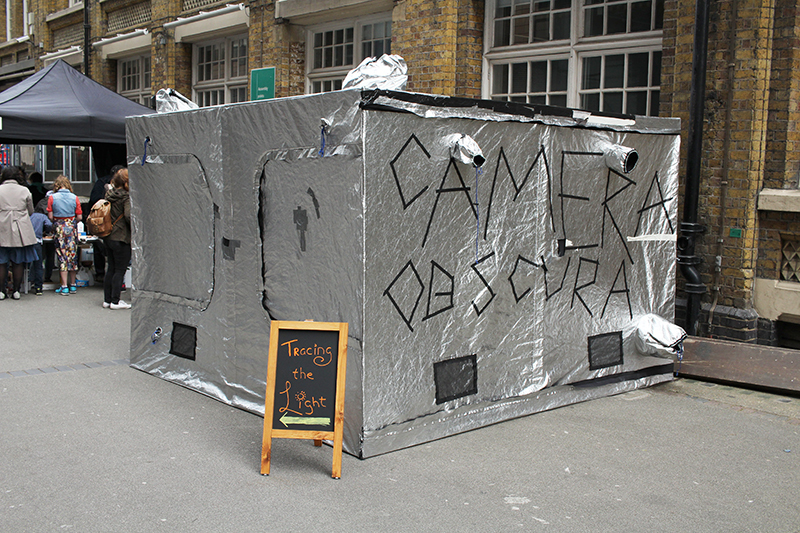 A camera obscura tent. I didn’t get to have a go though, because there was quite a queue. 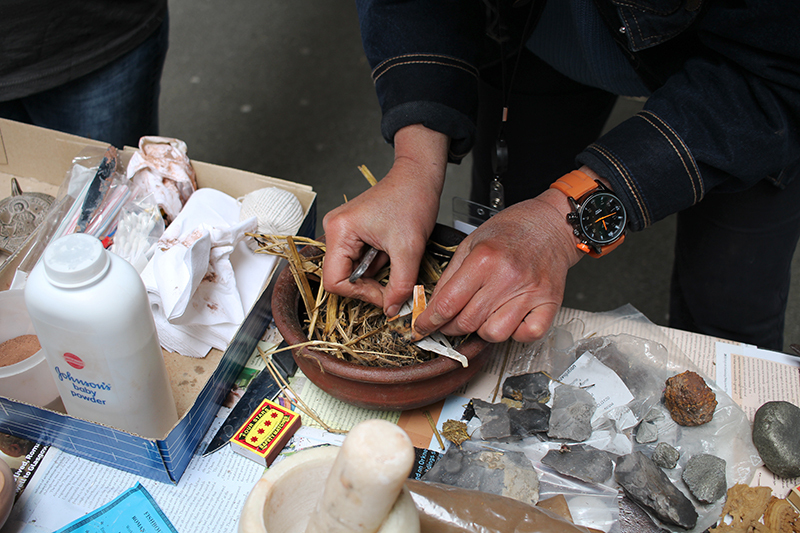 This archaeologist was demonstrating stone age methods of creating fire. I had a go, but she had the knack with the flints and I didn’t. Of course stone age people didn’t have to do that every time they wanted a fire, people carried around a glowing ember in a tinderbox as much as possible. 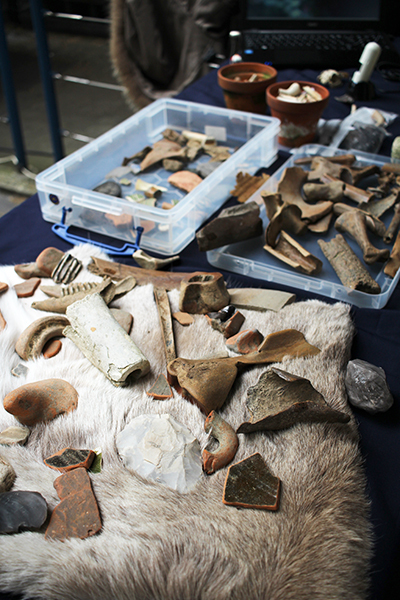 You could also make a Roman-style oil lamp out of clay at the stall. 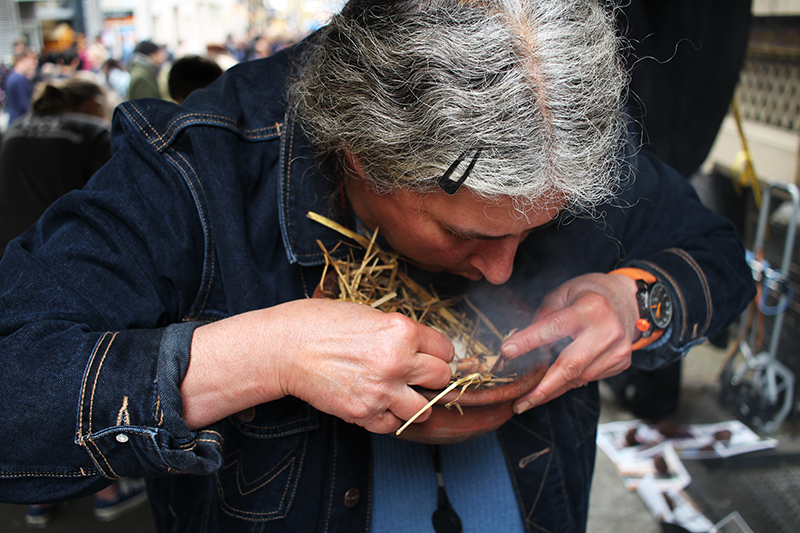 A bowl with tinder, dry straw and kindling. The tinder was amadou, a kind of tree fungus. It feels just like suede, and can also be used to make hats. Archaeological remains of fire and light equipment. 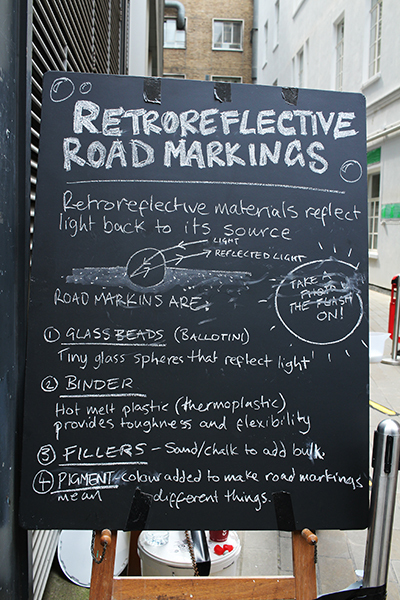 There was also a demonstration of how reflective road paint works. 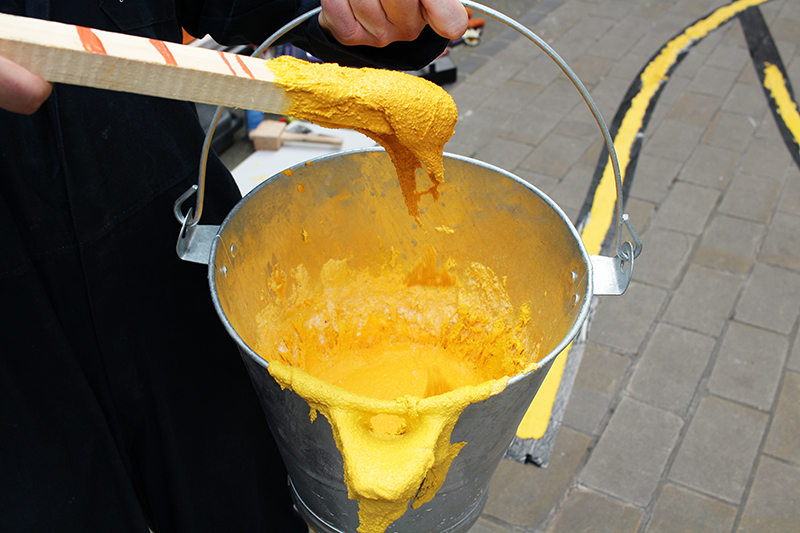 You have to get the paint pretty hot. 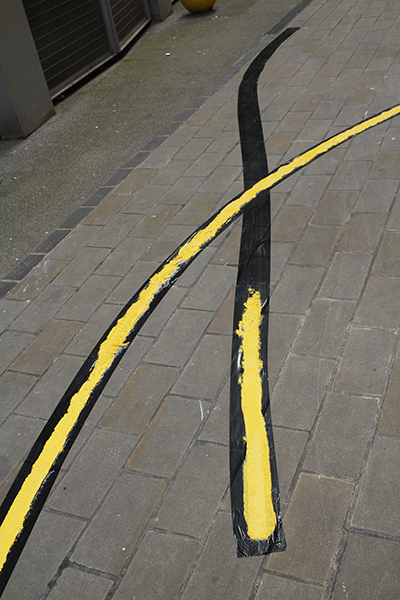 And it’s not very easy to spread by hand without the stripe-painting machine.